I love your sense of style.You look gorgeous. I love this!! It's sooo cute!! Coming over from the NC Bloggers page! :) You look super cute! 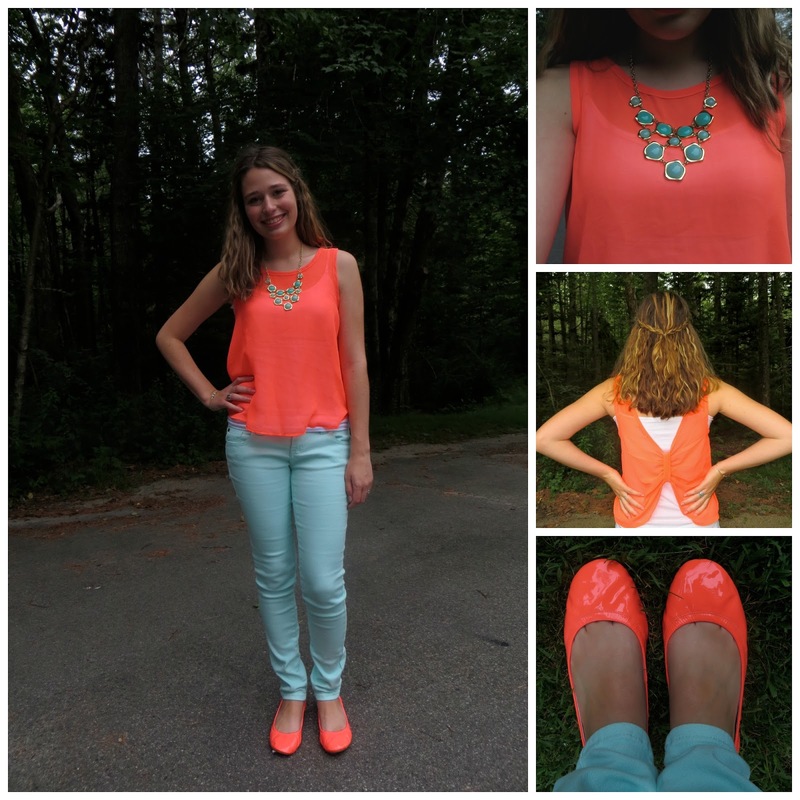 Love your flats & necklace! Cute! I love the color combo. I love your outfit! I'm new to your blog and after reading as much as I have the time to of your current and old blog, I was wondering if you still did the "under 30" interviews like you used to? Girl you so stylish! I just bought a pair of mint cutoff shorts and I've worn them with a coral belt! I absolutely LOVE this combo! This is such a cute color combo! Love it! PS: your new blog/layout is really nice! Loving it! Your simply beautiful, girl! I love those colors... what a perfect combination! Yes, I too have been swept into the mint trend. It's so cheerful, summery, and simply delightful! I love your top and that necklace, super cute combo!